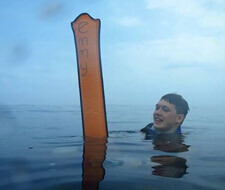 Learn scuba diving at all levels from complete beginner taking part in a 'Discover Scuba Diving' dive, through Open Water and Advanced courses, to professional diving levels. 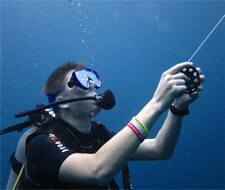 Scuba diving in Koh Lanta is becoming extremely popular. As the island develops its infrastructure and more and more tourists want to try something different to Koh Phi Phi and Phuket, the number of resorts and diving centers is increasing. However, something that will never change is the size and shape of the island itself. Unlike Koh Phi Phi, and even Phuket to a certain extent, it’s almost impossible to wander around Koh Lanta at your leisure visiting scuba diving centers and diving schools to choose the right one. 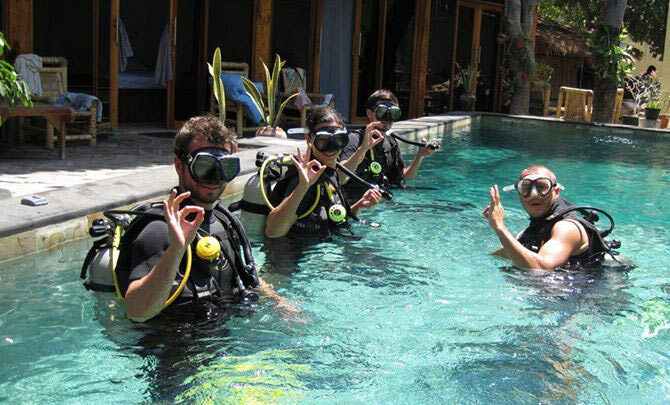 Here at Koh Lanta Divers, we aim to help customers to browse a complete selection of the best scuba diving centers in Koh Lanta in order to select the package which suits them the best. Not all diving schools and centers on Koh Lanta are the same. Although the fish in the sea don’t know who’s diving with which dive center, and the levels of safety and quality diving equipment is equally excellent among all of our partners, there are quite a few differing personal factors. Some people want the cheapest price, while others want the convenience of small groups, short distances to travel, large boats, non-diving activities or the comfort in their accommodation from paying a little extra. Choosing and booking online makes so much more sense than arriving on Koh Lanta and dragging yourself and your luggage from resort to resort, or from one dive center to another trying to find the one you like the best. Prices when booking through Koh Lanta Divers are no more expensive than booking direct, so let us do all the hard work for you. 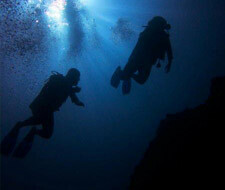 We have separated the options into different groups, such as the dive centers’ locations, prices and packages on offer. By browsing our website you can easily find the package that best suits your needs, preferences or budget. In addition, having no allegiance to any particular dive center on Koh Lanta enables us to give impartial, honest and helpful advice in every situation. We deal with all communications, be they by email or telephone, allowing you, the diving customer, to sit back, relax and look forward to your diving vacation in Thailand. Although diving in Koh Lanta is not as famous as locations such as Phuket, Phi Phi and The Similan Islands, it offers quite a lot more than all of them in certain situations. When comparing Koh Lanta to Phuket, Koh Lanta offers both better diving and a more enjoyable experience when not in the sea. Admittedly, younger travellers can enjoy more exciting activities and nightlife in Phuket, but Koh Lanta is more relaxed and has more uninhabited and even undiscovered natural locations. When comparing the diving in Koh Lanta and the diving in Phuket, many people are unaware of how little Phuket offers and how much Koh Lanta does. 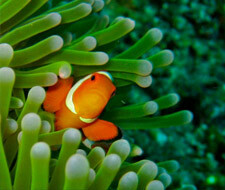 Most Phuket diving boats visit Koh Phi Phi diving sites, as well as Anemone Reef and King Cruiser wreck. Koh Lanta diving trips include visits to local sites (house reefs), Phi Phi’s best diving locations, the world-famous Hin Daeng / Hin Muang, and unlike most others, Koh Haa as well. So, for anyone other than thrill-seekers and party animals, Phuket has nothing that Koh Lanta can’t offer. This comparison is very similar when looking at Koh Lanta and Koh Phi Phi. While the nightlife on Phi Phi is an attraction for some, there are plenty of people who want to go on a scuba diving vacation to relax, not dance and drink all night, or listen to others doing so. Koh Lanta’s evenings are far more calm, quiet and relaxed. Koh Lanta diving boats visit all of the best diving sites as those from Koh Phi Phi, as well as Hin Daeng more often and Koh Haa. Everyday living costs and the diving packages on Koh Lanta are also less expensive than on Koh Phi Phi. Finally, comparing Diving in Koh Lanta to diving at The Similan Islands brings up a few interesting considerations. At The Similan Islands there is nothing other than diving, snorkelling, and empty beaches. Koh Lanta has waterfalls, resorts to fit all tastes and budgets, and plenty of non-diving related activities. It really is the perfect place in Thailand for scuba diving for many people.